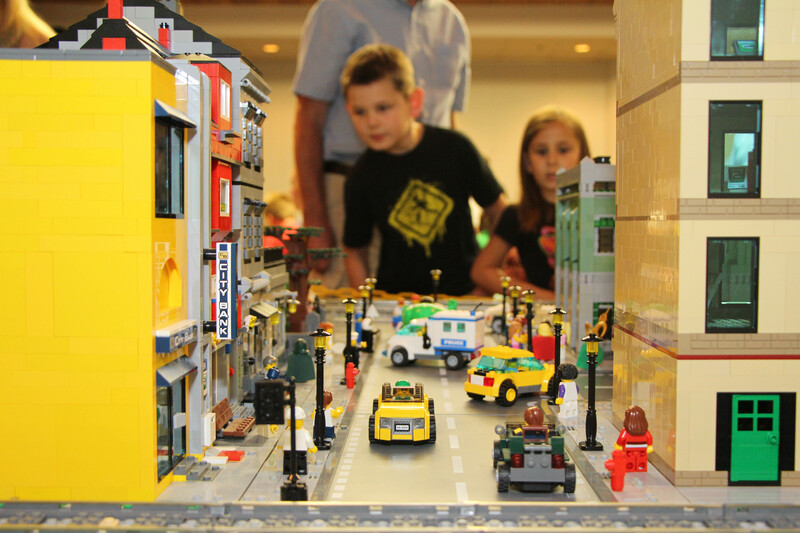 The Tennessee Valley LEGO Club enjoyed its biggest and most exciting display yet at the Huntsville-Madison County Public Library over the weekend of June 29-30, 2013. 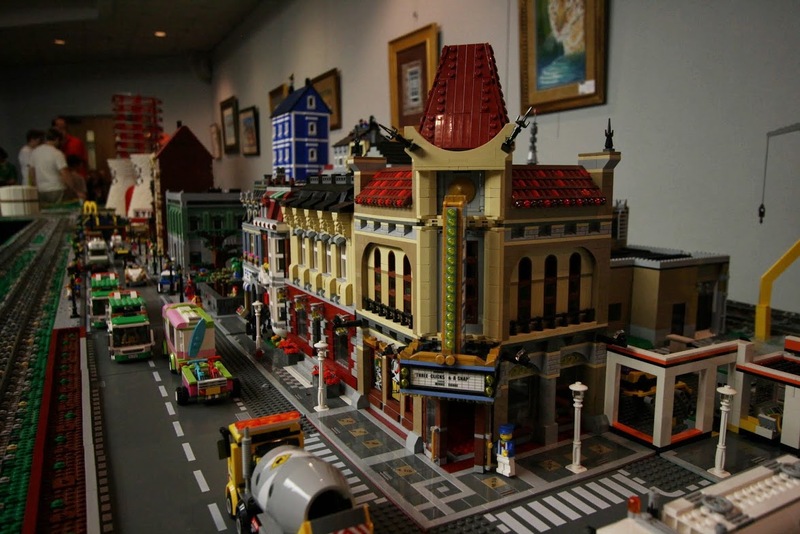 More than 1100 visitors attended the show, and hundreds of prizes donated by the LEGO Company and club members were given away during bingo and door prize drawings. 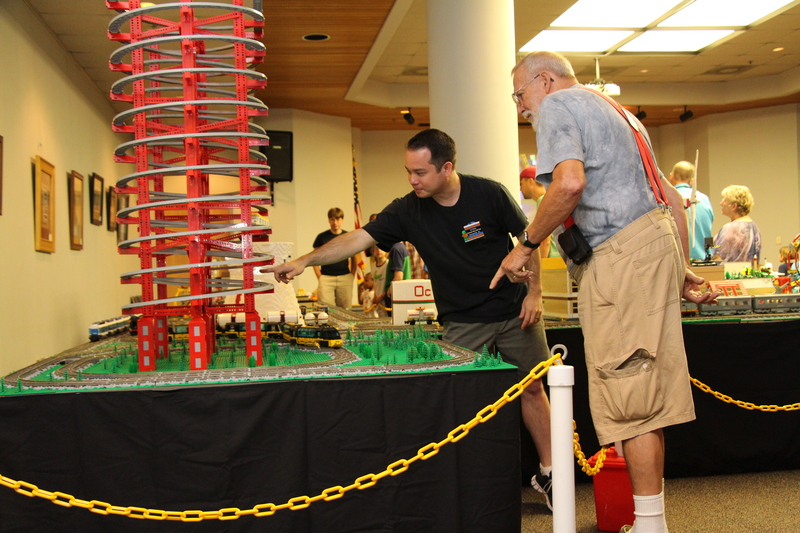 The club's collaborative display featured five working LEGO trains, a huge monorail, a rail yard, a variety of town areas, and several motorized features. A new MOC display included custom Bionicle creations, a LEGO logo puzzle, and a Minecraft tribute. Other items on display were a World War II layout and a LEGO robot that solves a Rubik's Cube in just minutes. Vice President Chris Bolton provided hours of entertainment for guests with rounds of bingo, and President Jennifer Garlen oversaw three door prize drawings. 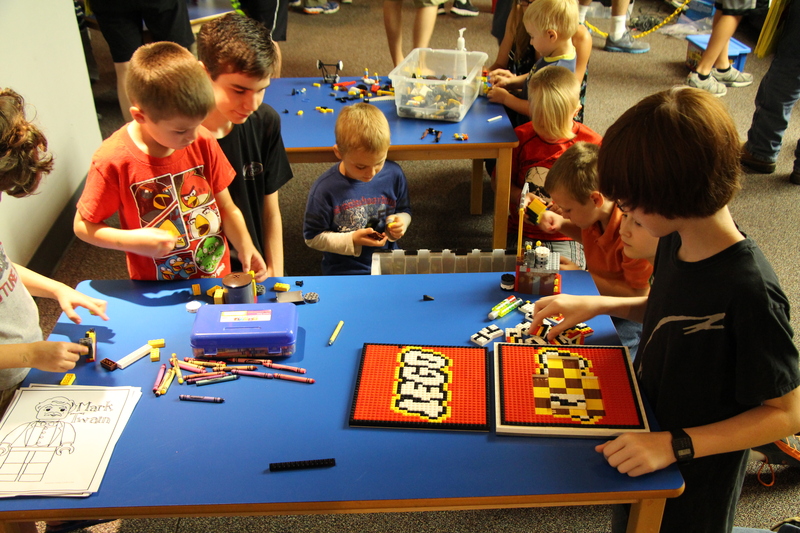 Charles Naumann ran trains and demonstrated the Rubik's Cube robot to many visitors, while Caleb Ellett helped guests solve his challenging LEGO logo puzzle. Other members on hand for the show included Le Pitts, the Bissell family, Will Ellett, Jared Hill, Franklin and Tim Atkins, Alex Calahan, and James and Anissa Graham. Everyone worked hard to make sure that our visitors had a great time! The Riverchase Galleria LEGO Store in Birmingham donated LEGO Club Magazines, store calendars, and bags for visitors. 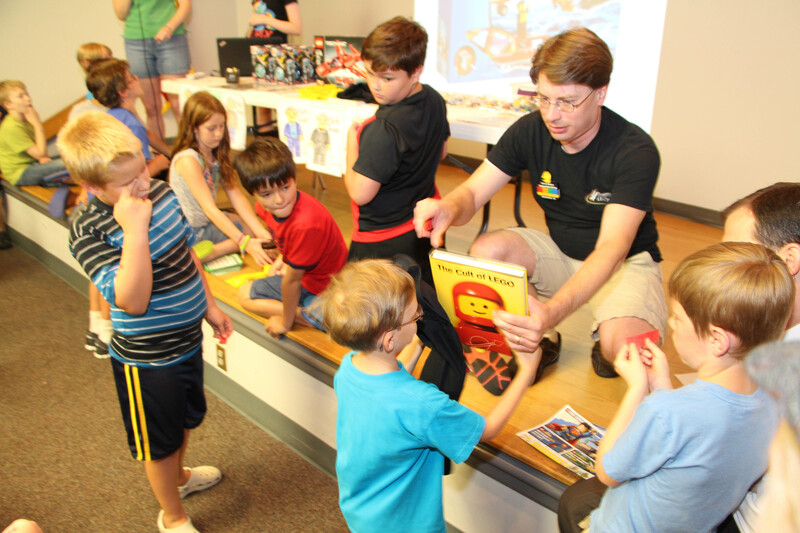 The LEGO Company provided new Hero Factory play brick for children to enjoy, and No Starch Press donated several of their LEGO technique books for display and for door prizes. No Starch also provided visitors with a coupon for discounts on their purchases at the publisher's website. The staff at the library mounted a tremendous publicity campaign for the show as the closing event of their Discover Tech exhibit. TNVLC appeared on local blogs, broadcast news, and in a variety of online media both before and during the show. The Friends of the Library volunteered their time to work the ticket desk for the event, as well. The members of TNVLC want to thank everyone who helped to make this our most successful summer show yet, particularly Sophie Young from the library staff and the popular local blog, Rocket City Mom.